B2B-Meeting on Thursday, 04th April 2019,10am to 03.00Pm, Venue at: Embassy of Kazakhstan, New Delhi. The Kazakhstan Embassy in New Delhi will organize the Kazakhstan-Indian investment forum on 04th April 2019 in the Premises of Kazakhstan embassy. 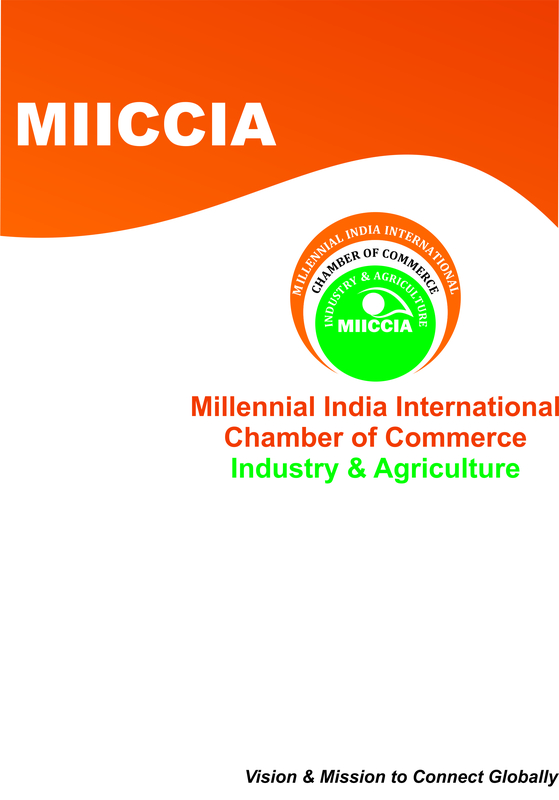 MIICCIA is partnering with the Kazakhstan Embassy in this event. There will be a program that will include the presentations by the Ambassador and NC “Kazakh Invest” on projects and investment opportunities in Kazakhstan. Offers on investments of individual Kazakhstan businessmen will also be presented on Thursday, April 4, 2019 between 1300 hrs to 1500 hrs and onwards other activities. There will be approximately 10-15 number of Kazakhstan participants. Prior Registration is mandatory. However, there is NO fees for registration. Then there should be a B2B session at which the Kazakh delegation will discuss cooperation issues with Indian companies. The main objective of the meeting is to establish relationship and introduction of investment projects. The Business 2 Business matchmaking will be a good opportunity for Indian Companies who can meet Kazakhstan Participants from Kazakhstan in a single platform, and can interact and share their views directly and plan accordingly. Indian businesses will get up-dated and precise information on new available opportunities for two way trade & investment. The Business 2 Business matchmaking will be a good opportunity for Indian Companies who can meet Kazakhstan Participants from Kazakhstan in a single platform, and can interact and share their views directly and plan accordingly. Indian businesses will get up-dated and precise information on new available opportunities for two way trade & investment. Kazakhstan Business Delegates are looking for the following industries like: Coal industries, Mining Industries, Oil & Gas Industries, Steel Industries, Poultry Meat Production Companies, Agri Business, Dairy Products, Seeds Industries, Plantation (Tea, Pepper & Coffee), and Agricultural Companies, and many more. BENEFITS OF PARTICIPATION IN the Meeting. To establish relationship and introduction of investment projects. It will be good opportunity for all old and new businessman , investor/Businessman as well as new entrepreneur to opt and select the new Business opportunities to invest in Kazakhstan. VENUE: Kazakhstan-Indian investment forum on Thursday, 4 April 2019 during 1000-1500 hrs in the premises of Kazakhstan Embassy New Delhi. 9th Session of Belarus-India Intergovernmental Commission on Trade, Economy, Science, Technology and Culture (IGC). Let us proudly invite you to participate in the 9th Session of Belarus-India Intergovernmental Commission on Trade, Economy, Science, Technology and Culture (IGC) to be held in Minsk on September 24th-25th, 2018. The event is to be co-chaired by Hon'ble Minister of Commerce and Industry of India Shri S.Prabhu and Hon'ble Minister of Industry of Belarus H.E. Mr. P. Utiupin. The IGC is the main officially recognized mechanism of coordination for all the dimensions of India-Belarus relations, the Protocols of the IGC define the mutually and officially approved priority projects and areas of the bilateral cooperation. 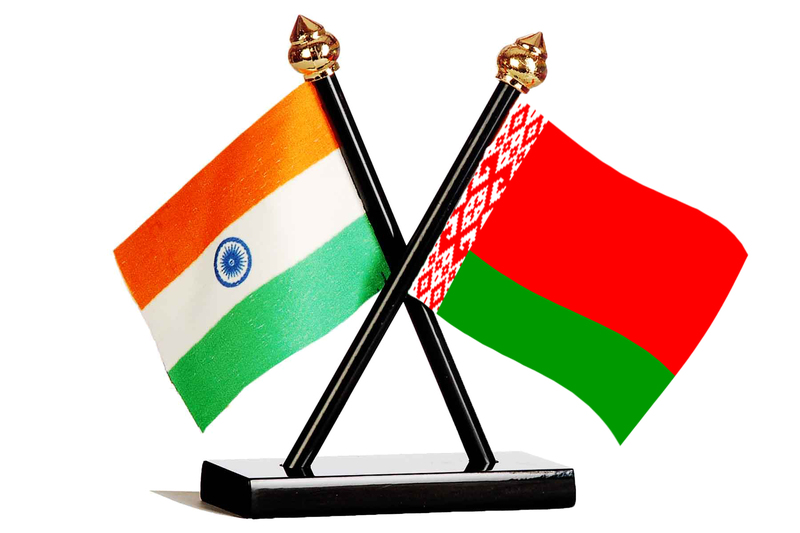 As a part of the event Belarus-India Business-Forum will be organized. Due to our appreciation for your active involvment and contribution to the development of India-Belarus relations, on behalf of the Embassy let us invite you to join the event as a part of the representative Indian delegation. We hope that you will enjoy your stay in Belarus and find new opportunities to gain and grow together with your Belarusian partners. Introductory/Welcoming meeting with Royal Hashemite Court to discuss program. “Bollywood Panel” with film delegation. 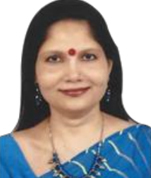 Mrs. ShubhdarshiniTripathi joined the Indian Foreign Service in 1994. She has done her Honours, M.Sc. and M.Phil from Delhi University. Her first assignment abroad was at the Embassy of India, Tel Aviv from 1996- 1999, where she was language trainee and then served as Second Secretary. Later, she served in the Ministry of External Affairs, New Delhi from 1999-2002. She was First Secretary at the Embassy of India, Thimphu from 2002-05 and High Commission of India, Kuala Lumpur in the year 2005. She was posted to Embassy of India, Paris as Counsellor dealing with Political from 2006-09. On returning from Paris, she served in the territorial division of Europe West of the Ministry of External Affairs, New Delhi as Director from 2009-11. This was followed by her posting as Deputy Chief of Mission from 2011-14 at the Embassy of India, Thimphu and then at the Embassy of India, Berlin from 2014-16. She has taken over as Ambassador of India to Jordan on 21st May 2016. H.E. Mr Muhannad Shehadeh is currently the Minister of State for Investment Affairs and the president of the Jordan Investment Commission (JIC). He completed his Master Degree in Business from Lincoln University, San Francisco. Mr. Shehadeh is a capable leader with 22 years of experience in the economic and financial sector in public and private sector. Prior to his current tenure, he served at the office His majesty King Abdullah II, as the Director of the Investment and Business Development. Now, He leads the JIC to provide the highest possible level of service and support to investor and to guide them through the nation’s legislative and institution framework. 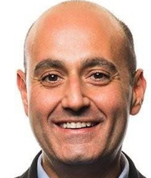 Mr. Shehadeh’ professional experience includes working as the CEO and Vice Chairman of the military credit Fund. He has over 14 years of professional experience in banking and financial sector in Jordan, Lebanon Egypt and the West bank, where he Held key positions like Banking CEO, Insurance Company CEO, and General manager for retail banking and wealth management. Mr. Shehadeh Expert in business to business relation, SMEs business concept, Consumer/Retail Banking, loan facilities, Corporate Banking Referral Relation, Islamic Banking , insurance products, Strategic planning, and wealth management. H.E. 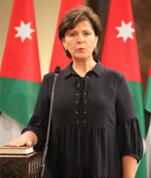 Lina Annab is the Minister of Tourism & Antiquities of the Hashemite Kingdom of Jordan. Prior to assuming her ministerial post in 2016, Minister Annab was the General Manager of Zara Investment Company (Holding). She was also a member of the Board of Directors of various private and public shareholding companies in Jordan. She represented the private sector on the «Employment – Technical Vocational and Education Training Council (E-TVET Council)». She was a member of a number of selections and judging panels for renowned awards and fellowships in entrepreneurship and leadership. Until recently, H.E. represented the private sector on the Board of Directors of Jordan Tourism Board (JTB) as well as on the Economic and Social Council. Over the past 20 years, Minister Annab held various positions at Citibank, Johnson & Johnson, and the International Monetary Fund. Her Career covers product management, research, marketing and finance. Throughout her career, she has worked in the USA, Europe, and various countries within the Middle East. H.E Dr. Yousef Al Shawarbeh is the Mayor of Amman of the Hashemite Kingdom of Jordan. 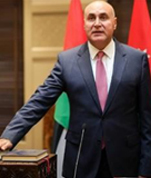 Prior to assuming his Mayoral post in August 2017 Mayor Al Shawarbeh was the Chairman of Amman Municipal Committee (March 2017 – August 2017), Chairman of Addustour newspaper Board of Directors (2016) and a Political Development and Parliamentary Affairs (2016). 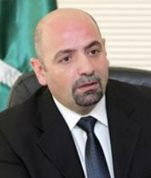 Over 15 years, Mayor Al Shawarbeh held various positions on local Government and Municipal work, legal and Legislative field: (2013 –2016) he was the Deputy Mayor of Amman, Vice Chairman of Investment committee at the Greater Amman Municipality, A member of the Local Organizing Committee of the FIFA U-17 Women›s World Cup 2016, Chairman of Tenders committee at the Greater Amman Municipality , Vice Chairman of the Central Market Board of Directors at the Greater Amman Municipality, Deputy Chief of Directors, Al-Tawfiq for Transport & Investment Co. Ltd , Vice Chairman of Comprehensive Multiple Transport company Board of Directors, and Deputy Chief of Directors, Asia Transportation Company, Vice Chairman of Integrated Cards Company (-E kartak) Board of Directors. In (2014) Member of Decentralization Law Formulation committee, Member of Human Rights National plan Formulation committee and a Member of Amman Sister Cities High committee Mayor Al Shawarbeh holds a PHD degree in constitutional law from Al-Neelain University in Sudan. He also holds a Bachelor degree in Law - Al-Ahliyya Amman University- Faculty of Law in Jordan. Dr. Arabiyat is the current Managing Director of the Jordan Tourism Board; Prior to this position, Dr. Arabiyat filled the position of Finance Department Director at the Telecommunications Regulatory Commission, as well as, previously holding that position and the position of Director of Administrative Affairs at the Commission simultaneously. 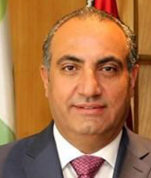 Preceding that, he worked in several ministerial positions including; Serving in the Financial Department at the Ministry of Planning before moving on to becoming the Head of Auditing, as well as, Financial Manager at the Ministry of Tourism and Antiquities before moving on to becoming the Financial & Administrative Manager for the Tourism Development Project. Dr. Arabiyat holds a Ph.D in Finance from the Amman Arab University for Graduate Studies, a Master’s degree in Banking and Financial Science from the Arab Academy for Banking and Financial Science and a B.A. in Public Administration and Political Science from the University of Jordan. George David, currently its General Manager has been working for the Royal Film Commission – Jordan (RFC) since 2005. He has also been part of the production team on numerous film and television projects, as well as working in entertainment PR. David is currently serving as President on the Board of Directors of the Association of Film Commissioners International (AFCI). Following a brief theater career, his work on film in Jordan started out as early as 1996. He then located to Los Angeles where he pursued a film degree and then continued to work as a production manager and producer in Hollywood. David has played a key role in attracting and supporting major film productions. These include the Academy Award sweeper The Hurt Locker, the blockbuster Transformers: Revenge of the Fallen and many more. He has also pioneered several educational initiatives in film and television, namely the Film Train and the Educational Feature Film Program (EFFP) where he undertook the role of Executive Producer on five feature films to date. In 2011 David was instrumental in setting up and administering the newly established RFC Jordan Film Fund.